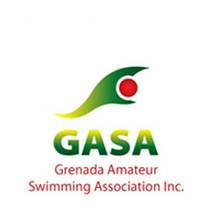 The Grenada Amateur Swimming Association has officially named the 13-member team who have qualified to compete in the 2019 CARIFTA Swimming Championship scheduled to take place in Barbados from 11-25 April. The 13-member Carifta team includes swimmers in the 11-17 age categories. This year’s team includes three first time CARIFTA appearances for swimmers Sara Dowden, Nathan Fletcher and Eli Zerpa. Official team training commences on 13 March at the Good Hope Pool in St Paul’s. Thirteen members of the National team participating at CARIFTA, along with 5 Grenada National senior swimmers will also compete in the upcoming Central American & Caribbean Amateur Swimming Confederation Championship (CCCAN) from 1-5 July. Joining the National squad for CCCAN in Barbados include locally based senior swimmers Delron Feliix and Dajenel Williams, along with US Based swimmers Orelouwa Cherebin, Kerry Ollivierre, and Corey Ollivierre. During this period of preparation our senior swimmers are also seeking to achieve the qualifying standards for the upcoming PANAM Games from 26 July to 11 August.